The Beatles 50 Years Ago Today: November 10, 1966. Beatles Radio: The Beatles, Solos, Covers, Birthdays, News The Fab 4 and More! This was the last of four mixing sessions to prepare stereo versions of Beatles songs ahead of the UK compilation album A Collection Of Beatles Oldies on December 9, 1966. 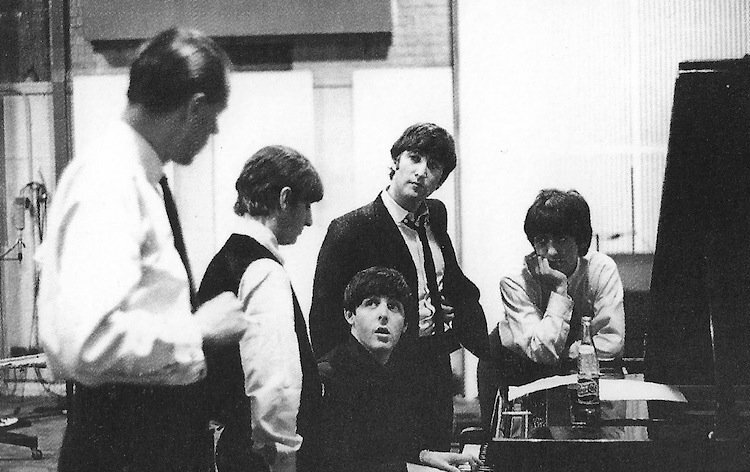 Once again George Martin was not present, so the session was led by balance engineer Peter Bown. The first song worked on was "This Boy", which was the result of a misunderstanding. During a telephone call from EMI's headquarters at London's Manchester Square, Bad Boy was mistakenly called This Boy. This led to stereo mixes being made from takes 15 and 17, which were edited together towards the end of the session. They were unnecessary, however, and the stereo mix of Bad Boy from May 10, 1965 was used for the album. Day Tripper was the second song to receive a stereo mix. This replaced an earlier one made on October 26, 1965 for The Beatles' US and Australian record labels. The third and final song was "We Can Work It Out". A previous stereo mix had been created on November 10, 1965, but was crapped on August 9, 1966.